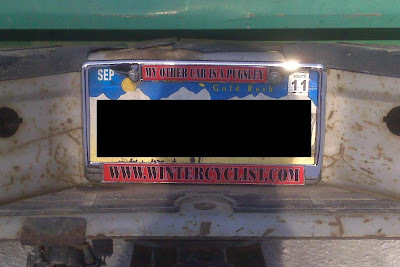 Winter Cyclist: It's not really the thought that counts. "Its the thought that counts", is an old saying we apply to gifts, most notably to those gifts which have failed miserably. That being said it is apparent some gifts are better than others. Some people know you (and your obsessions) better than others. So when you get an extraordinarily awesome gift, all you can say is "thanks Mom, I love you too."